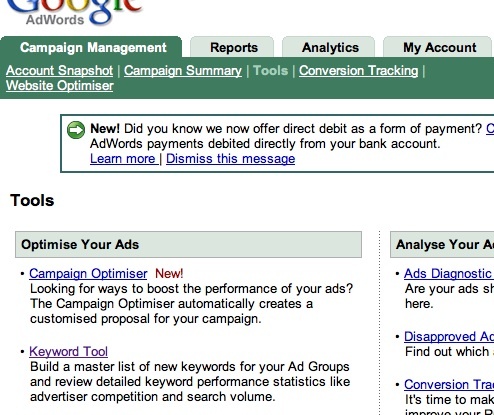 If you haven’t already opened an account with Google adwords, do it now! Obviously you will need it for creating ads that will appear on other people’s site advertising your products. As they say on the home page…. People can simply click on your ad to make a purchase or learn more about you. You don’t even need a webpage to get started – Google will help you create one for free. It is as simple as that! 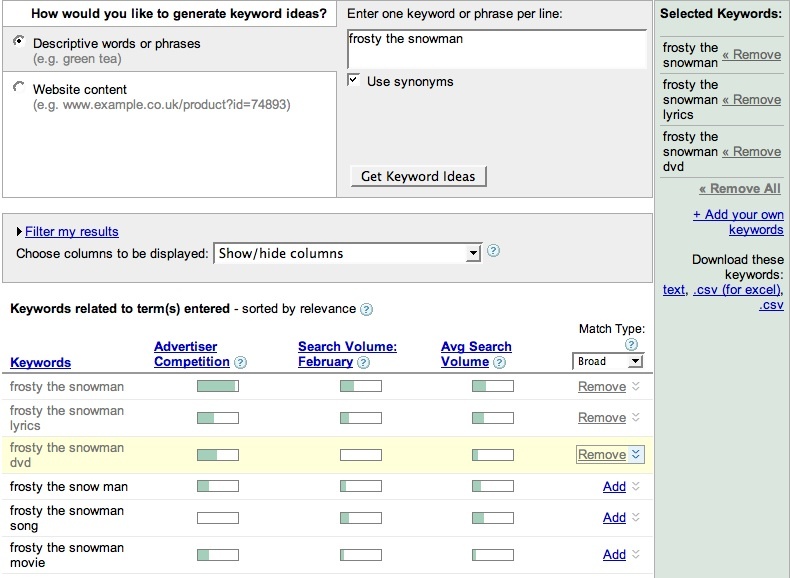 In the text box under the title ‘Enter one keyword or phrase per line’ type in a keyword or couple of words that a typical person may search for your site (or product) with. After clicking ‘Get Keyword Ideas’ a list of related keywords will appear below showing Advertiser competition ratings, typical search volume for the previous month and an average Search Volume. Any of the terms you think may well be specific to your product or idea can be ‘Added’ to your own personal list which you can then download as a text, or csv file. You will want to keep this as part of your research and eventually use in your web site or you AdWords Pay Per Click campaign. If you haven’t tried any of these sites, get on line and have a play. They all have an important part to play in your internet business.